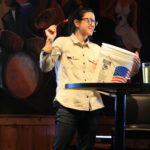 Forget the lecture, at Science on Tap-Minocqua, you won’t find jargon or a PowerPoint presentation – we search for scientists who are good at well, not sounding like a scientist. Our topics are wide ranging, spanning issues from bacteria to bees and from a search for life on other planets to a search for the perfect pint. The series provides a forum where the public engages experts in an informal, two-way conversation about important issues of the day. Speakers provide 15 or 20-minutes of opening remarks, then the floor is opened for questions, letting the audience join the conversation. The result is a dynamic, engaging community gathering. Science on Tap-Minocqua is the result of a unique partnership among UW-Madison’s Trout Lake Station, UW-Madison’s Kemp Natural Resources Station, the Lakeland-Badger chapter of the Wisconsin Alumni Association, the Minocqua Public Library and the Minocqua Brewing Company and exemplifies the Wisconsin Idea – that the boundaries of the university are the boundaries of the state. 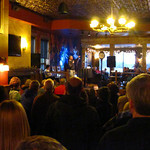 Events are held at the Minocqua Brewing Company, a restaurant in downtown Minocqua, on the first Wednesday of each month. This relaxed setting, combined with the accessible program format, fosters public engagement. But you don’t have to make your way to the brewery to join the discussion – interested members of the public can also watch a live stream at the Minocqua Public Library, watch a live stream from your home over your own Internet connection or watch our archived programs online. Free, fun and open to everyone! We hope you’ll join us at the Minocqua Brewing Company for Science On Tap Minocqua! For those wishing to eat at the Brewery before or after the event, mention Science on Tap and get 10% off. And, if you can’t join us in person, you can still watch the show and ask questions on line. The event is free and open (rain or shine) to the public. Learning how a fyke net works as folks prepare to board pontoon boat for a “research cruise” on Trout Lake. 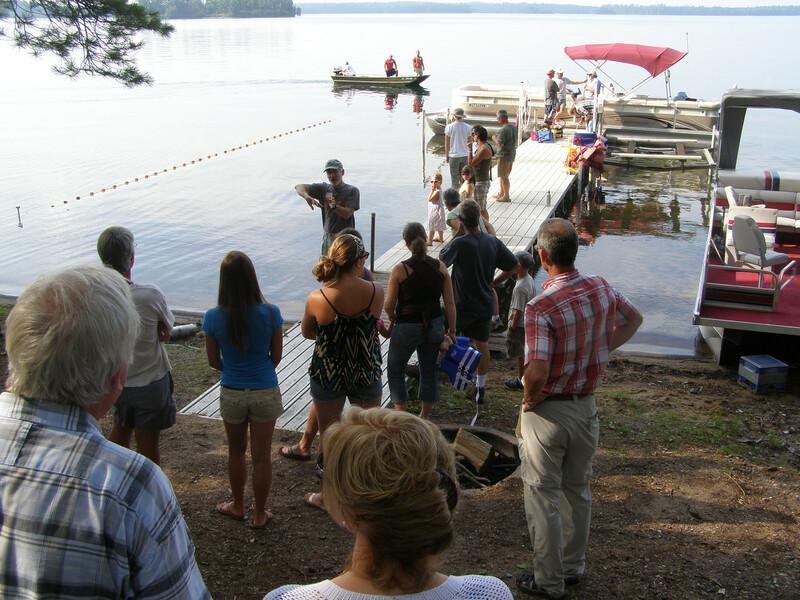 Join us for our 8th-annual Trout Lake Station (TLS) Open House, Friday, August 2 from 1 to 5 pm for a chance to get a first-hand look at what research is going on at the station this summer, as well as meet the scientists and students conducting it! Activities for visitors will include riding out on pontoon boats on Trout Lake, meeting some of the fish that call Wisconsin’s northern lakes home, learning to tell invasive species from natives, and talking with scientists about the state of Wisconsin lakes and our role in keeping them healthy for future generations. 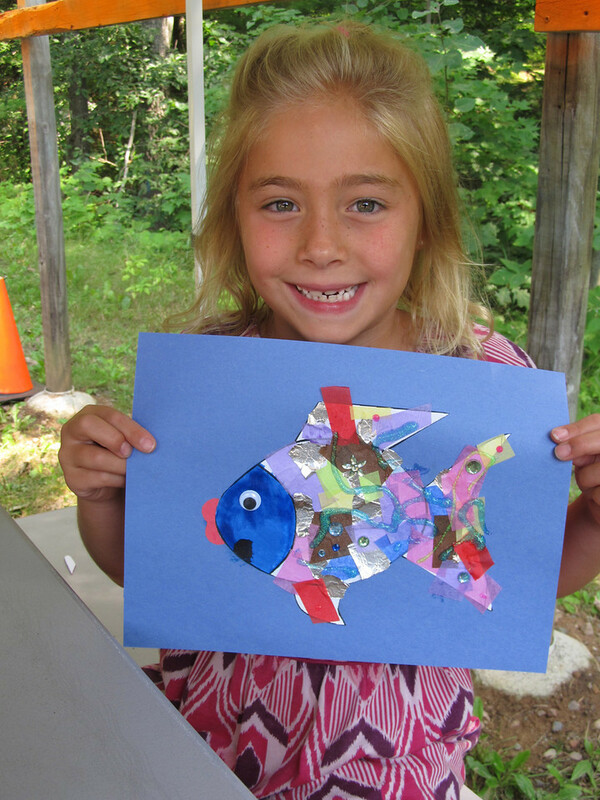 There will also be aquatic-themed crafts for kids, an art exhibition of material produced by the station’s annual “Artists in Residence,” and, of course, free Babcock Dairy ice cream brought up from the University of Wisconsin’s Madison campus! 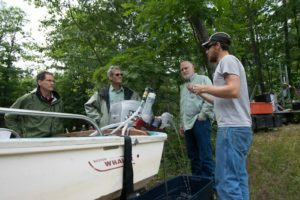 Scientists at the the Center for Limnology conduct research all over the world, exchanging knowledge and helping to solve global environmental problems. We hope you’ll join us at TLS where researchers are doing world-class research on Wisconsin lakes. With stations manned by TLS staff and student researchers, guests are able to learn about the small mammals who forage in local forests, what it means when a tree is bendy, how to build a battery from bog water, what that giant buoy on Trout does, how to pinpoint zooplankton under the scope, why aquatic hitchhikers must be stopped and how to identify fish and aquatic plants. Trout Lake Station is located at 3110 Trout Lake Station Drive (between Hwy 51 and Hwy M). For more information, call 715-356-9494 or e-mail tls@mailplus.wisc.edu.